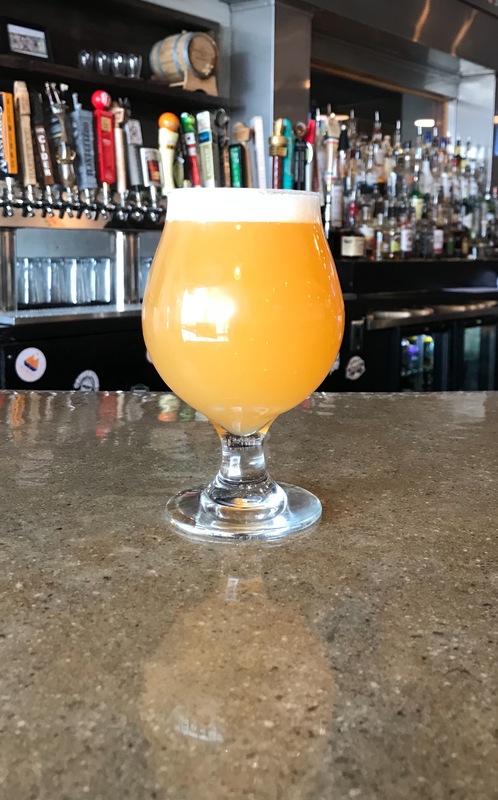 This month, Tapped is spotlighting the Imperial India Pale Ale, otherwise known as the Double IPA (Imperial, India….2 I’s..get it). Each week we will feature a Double IPA on tap to celebrate a style that is a house favorite! But what is a Double IPA? Double IPA’s came into the beer scene in the early 1990’s in California. The first double IPA is credited to Vinnie Cilurzo, owner of Russian River Brewery (Santa Rosa, California). While he was brewing for Blind Pig Brewery (Temecula, California), Vinnie debuted his Inaugural Ale which was packed with hops. At that point, nobody had ever thought to load a batch with double the hops to complete the recipe. It obviously was a smash for the beer world! Look where we are now? Double IPA’s are usually hoppy bombshell beers. Brewers double down on the hops profile of the beer which at times can give you a pure hop mouth feel and taste, resulting in very little balance. When doubling down on the hops, brewers also have to double up on the grain bill. Increasing the grain bill provides a solid foundation, but also increases the amount of sugar in the wort. More sugar for the yeast means a higher alcohol by volume for the beer. So finding a solid, balanced, double IPA is can sometimes be a challenge! Now that you have a little bit of background on Double IPA’s let’s talk pints! Since we are showcasing Double IPAs, we are kicking the month off right…drum roll…Double Tapped!! Double Tapped is a Virginia Beer Co. and Tapped Collaboration Brew! How many hops? ALL THE HOPS. Boasting a 3+ pounds per barrel double dry-hop with Citra, Nelson, and Simcoe…then throw in some Simcoe Lupulin Powder for good measure. A big, badass beer for a big, badass team-up. Find it at VBC and both Tapped locations basking in the succulent, juicy, and fruit-bomb flavors of this ultra-smooth, 8% ABV, DDH DIPA! Grain Bill: 2-Row, Wheat, and Golden Naked Oats. Hops: Citra, Nelson, Simcoe, and Simcoe (lupulin powder).